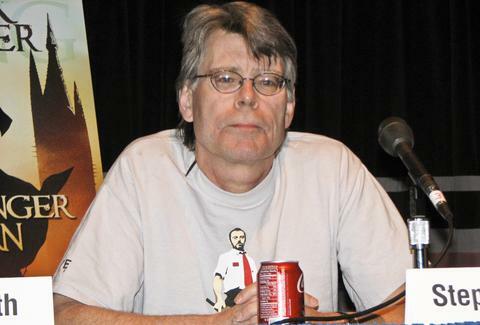 Stephen King has given you plenty of things to fear. Clowns. Dogs. Fog. Hotels. Being alone. Being with people. In a recent New York Times interview about travel, King mentions a couple useful travel tips that have nothing to do with scaring you. There are no tips for avoiding murder at the hands of sentient water in a seaside B&B. These are actually useful. As an author with boatloads of bestsellers, he has to travel a fair amount. Though you may be surprised to learn he's not a fan of traveling and does it by car because he feels "more in control when [he's] driving than when [he's] flying." To boot, he's not staying anywhere fancy. He said he prefers to stay in a Motel 6 and eat at Waffle House. "I’m not hard to please," he told the Times. "Give me a motel room somewhere near the Interstate with a chair out front where you can sit and read a book and I’m just as happy as can be." He also keeps his bag sparse, but always brings a backup book. "There’s the book that I’m going to read and the backup in case the book is terrible," he says.